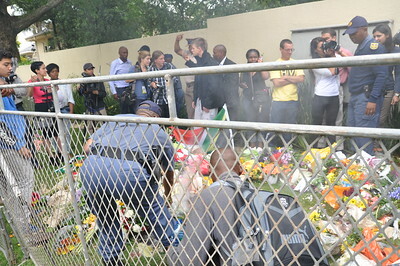 Just one day after landing in Johannesburg. 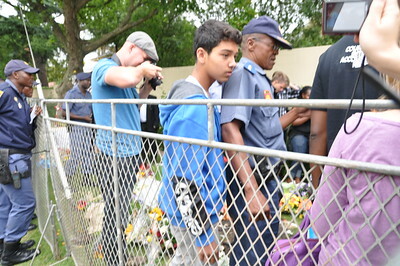 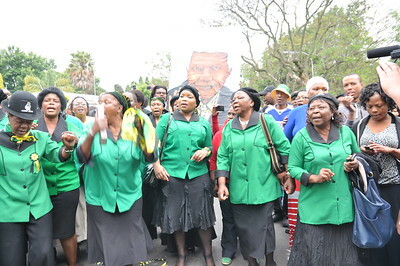 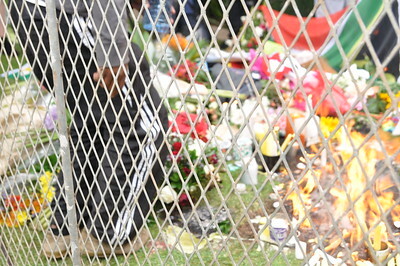 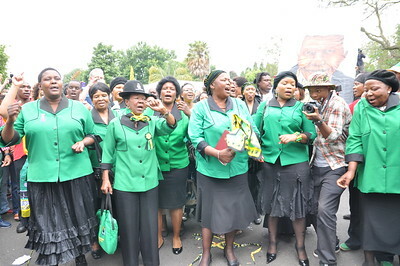 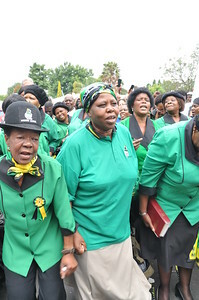 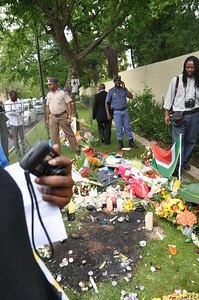 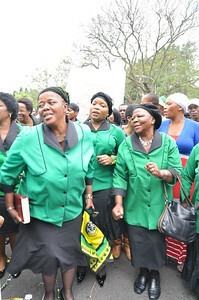 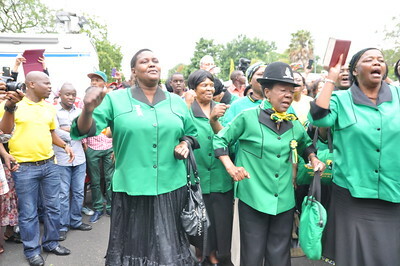 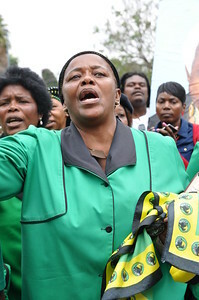 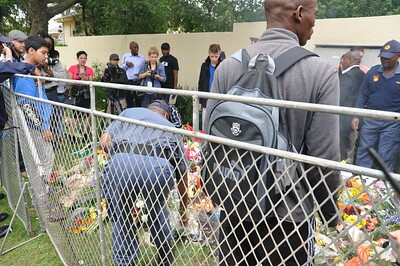 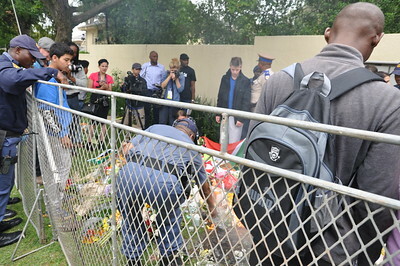 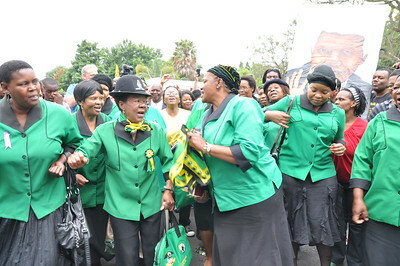 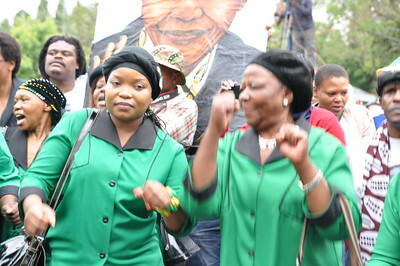 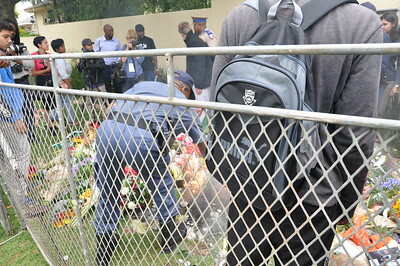 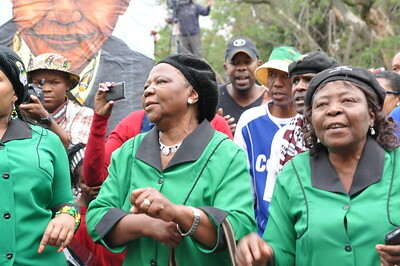 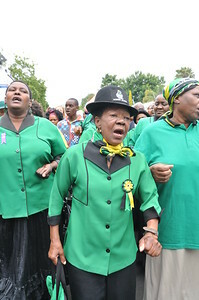 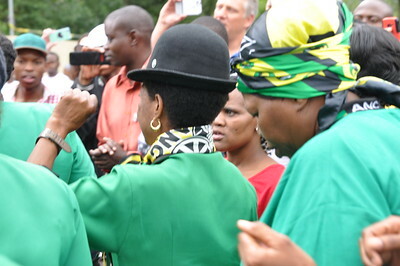 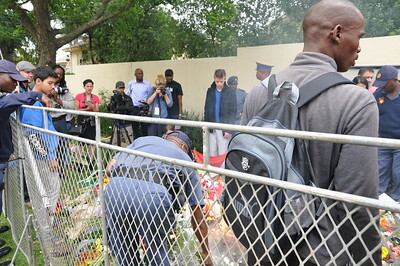 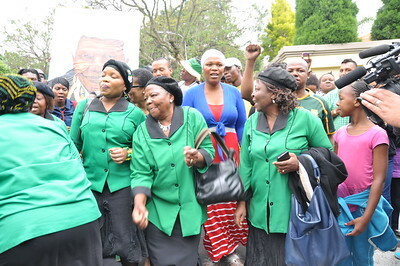 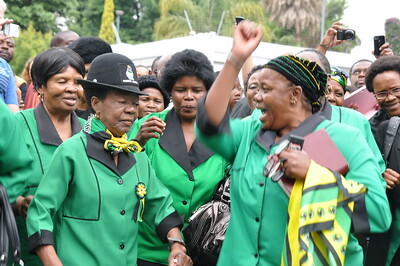 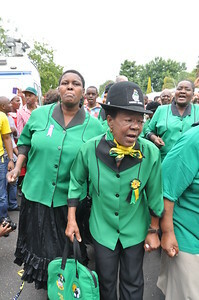 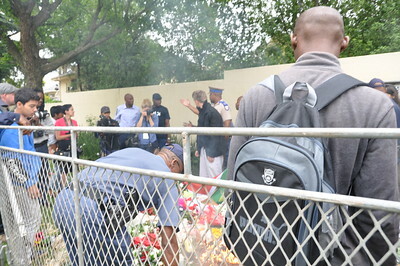 The Nxumalo group stopped to pay 'Tribute' at the private residence of Nelson Mandela. 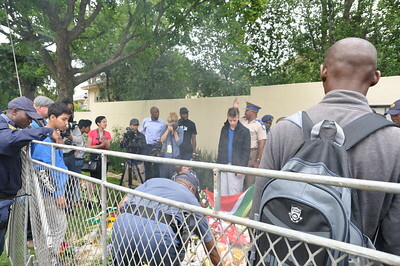 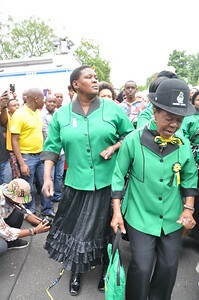 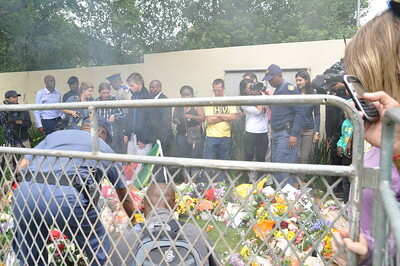 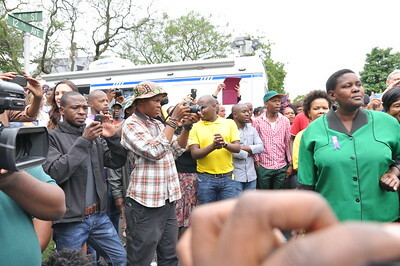 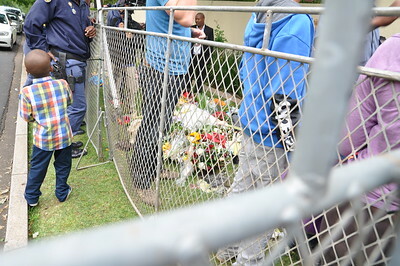 Members of the group were able to navigate to the very front to get a first hand view with South Africans mourners, the media, and other world travelers to pay our respects to such a great man.